Benjamin H. Grierson (1826-1911), Brigadier General, USA (PA/IL). Grierson's 1863 raid. 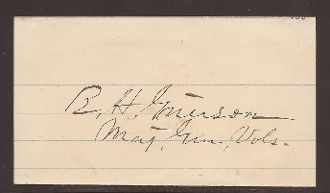 Clip autograph with rank as Maj. Genl. Vols.